How can men gain their footing in the ever-shifting environment of cultural expectations? What does it mean to be male? What definition of masculinity should men adopt? What roles should men fulfill-in the workplace and in the home? What do gender roles have to do with the male's purpose? What are the differences between males and females? How are men and women meant to relate to one another? How can a man build a better life for himself, his family, and the world? When men understand the purpose God has given them and the true design of their relationship with women, they will be free to fulfill their destiny and potential. Expanded edition with study guide material included. 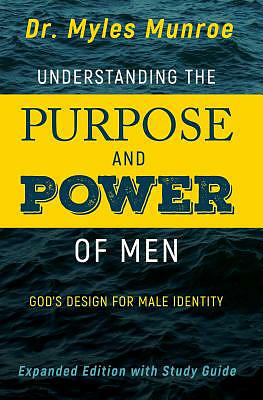 Understanding The Purpose And Power Of Men (Expanded) by Munroe, Myles was published by Whitaker House in June 2017 and is our 3891st best seller. The ISBN for Understanding The Purpose And Power Of Men (Expanded) is 9781629118352. Be the first to review Understanding The Purpose And Power Of Men (Expanded)! Got a question? No problem! Just click here to ask us about Understanding The Purpose And Power Of Men (Expanded).